Relieve your enchantment with the moon with the mystical Moon Vines sterling silver pendant. The moon has awoken with the sleep of the sun. The light has been broken, the spell has begun. 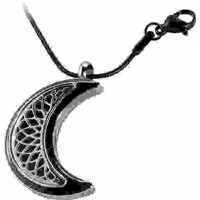 The moon has always held significance to people from all cultures and walks of life. 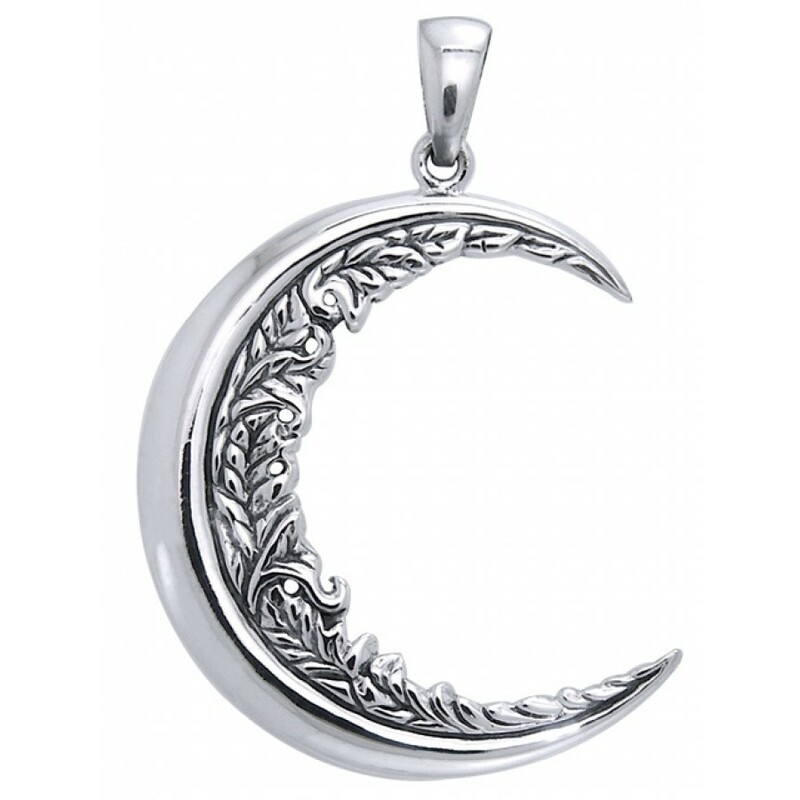 There is a common belief among varied cultures that the distinct phases of the moon; crescent, gibbous, waxing, and waning can bring about physical or psychological change towards people and the environment. Water tides, lunar eclipse, and individual’s change of mood – to name few of moon’s effect. Beautifully crafted from fine sterling silver, this gorgeous crescent moon pendant is 1.47 inch high, 1.34 inch wide. Solid sterling silver. Item Number: PS-TPD3347 | Approximate Size (Inches): 1.34 wide x 0.05 deep x 1.47 high | Approximate Shipping Weight: 0.25 lbs.